Share your photography skills and hashtag #DiveWild to WIN!!! 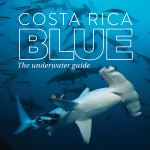 Each month we will be giving out a free Costa Rica Blue guidebook, ending with 1 free trip to Cocos Island! What does a person do with 30 years worth of photography from the sharkiest place on Earth? They put together a 340-page guidebook. That is just what Avi Klapfer has done with his spectacular photo archive from Cocos Island. ast June 13, our Dive Guide, Juan Manuel Camargo, our Travel Agent Provider, Jorge Montero from Top Travel, and our reservations specialist Lisa Povedano, were honored to attend this Ecological Kids Camp in the Puntarenas Natural Reserve and Biological Corridor of Matambu. With this statement, Undersea Hunter would like to provide information about an incident that took place recently at Cocos Island on April 28, 2018. It’s that time of year again! Time to nominate your favorite destinations and liveaboards for DIVE Magazine’s annual travel awards. Cocos is calling! Book now while there is still space. Email info@underseahunter.com for more info. According to the International Research Institute for Climate and Society, a La Niña watch is officially in effect. Experts report an increasing chance (~55-60%) of La Niña during the Northern Hemisphere fall and winter 2017-18. Plan ahead and book your space now! The winner of this year's Underwater Photography Guide photo contest has been announced. The prize? A once-in-a-lifetime trip to Cocos Island with the Undersea Hunter Group! Underwater Photography Guide's Ocean Art photo contest is now accepting entries. Submit your best photo for your chance to win a trip with Undersea Hunter Group to Cocos Island! This week we bade farewell to one of our three iconic liveaboard ships – the Undersea Hunter. This trustworthy vessel was the very first of our fleet, and she’d been with us for over 26 years. We're expecting La Niña to hit the Eastern Pacific hard this year, bringing lots of cold currents, nutrient-rich water and big pelagics to Cocos Island. Book now and enjoy $1000 off select trips. The Undersea Hunter just returned from another special research expedition with Pharmamar, a bio-pharmaceutical company dedicated to searching for cancer cures in the deep sea. National Geographic just finished up their journey to Clipperton Island on the Argo, and the expedition was a huge success. Here is the trip report straight from the log of our lead dive officer, Federico Pochet. Could a cure for cancer lie at the bottom of the ocean? This month we took a Spanish research group to Cocos Island, along with certain spots along Costa Rica's coastline, in a quest to find marine molecules that could lead to potential cures for cancer. The 2016 Boot Tauchen was a huge success! We met with countless divers and tour operators to share (and show off!) the best of the best that Cocos Island has to offer. The DeepSee is back from an epic expedition to the Galapágos Islands, after hosting the Pristine Seas Project led by Dr.Enric Sala, National Geographic Explorer-In-Residence. Just in time to ring in the New Year, the Argo returned from a 20-day chartered voyage to the Galápagos Islands with National Geographic! 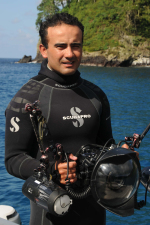 This special expedition was led by Enric Sala of the Pristine Seas project. His goal was simple: to examine and document the biomass of this marine treasure. We had an incredible 10 whale shark sightings on our last trip to Cocos Island! Not to mention we got to watch a tiger shark try to hunt down a baby booby. Check out the videos! Thanks to our dive guide Felipe Chacon Rodriguez for both filming and editing these. The DeepSee celebrates its 10th birthday at Cocos Island! Click through to read all about the past decade of deep underwater exploration. A few months ago, the Undersea Hunter Group took a boat filled with ocean conservationists and celebrities out to Cocos Island. Here's what happened. Undersea Hunter divers got a chance to be heroes last week at Cocos Island, when they stumbled across a gigantic manta ray tangled up in a mess of dangerous fishing line. Divemaster Brayan cut the manta free with a diving knife, and the manta was able to continue along its merry way unhindered. Way to go!!!! On our last Undersea Hunter trip to Cocos Island on the Argo vessel our divers saw not one, but TWO frogfish at Manuelita Coral Gardens dive site. This is pretty rare, as this species is known for being a loner that live a solitary life (frogfish are somewhat antisocial creatures that almost never travel in groups). Watch the video to learn more about the Commerson's frogfish species you can find at Cocos Island, Costa Rica. The archipelago includes 3 relatively new volcanoes, the biggest is Socorro, then San Benedicto and the smallest which is barely breaking the surface, named Roca Partida. Our voyage started on the 3rd of March in Mazatlan, Mexico. It was here that MV Argo and crew team up with our dear and long time friend, Manuel Lazcano. Images of MV Argo and crew as they carry out an annual drydock maintenance in Mazatlán, Sinaloa, Mexico. As soon as the maintenance is complete, MV Argo heads to Socorro Island for a private charter expedition. We've been waiting all year to see your smiling faces at the DEMA Dive Show. Stop by our booth #2039 and find out how your dive shop, agency, or dive group can work with us to ensure the ultimate liveaboard dive opportunities to Cocos Island and beyond! In Part I of our Safety First story, we showed how Safety Officer Nelson Diaz lead the crew of Undersea Hunter Group’s vessels through their emergency training and preparedness procedures. This past July, Nelson lead another 2-day training re-certifying older crew and certifying the newest. Scientists from the University of Michigan and Costa Rica's Inbio Parque went on a sampling expedition aboard MV Undersea Hunter to Cocos Island, Costa Rica. The expedition focused on collecting, analyzing, and documenting cyanobacteria. MV Undersea Hunter has embarked on a trip to Cocos Island with the tech divers and research team from Pharmamar. They will be sampling and studying the macro-organisms, especially sponges, to support the discovery of innovative drugs with anti-tumor activity. This month we are highlighting the incredible trio from MV Argo's Galley... 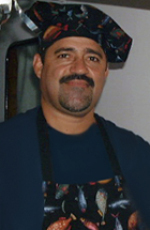 Chef Francisco "Chico" Mora Picado, Chef's Assistant Isacar "Chaco" Rojas Mora, and Steward Javier "Cholo" Ramierez, otherwise known as Chico, Chaco, and Cholo. We had the honor of hosting one of the 2012 Our World-Underwater Scholarship Society Winners, Miss Yoland Bosiger, on the November 21 – December 1 2012 trip to Cocos Island. The scholarship awards the winners a yearlong opportunity to work along side current leaders in the underwater field. Read all about Yoland's adventures. This month we are very proud to highlight the hard work and dedication of Undersea Hunter's skiff driver, dive master, and ocean hero, Roy Mora Cordoba. National Geographic Seamount Expedition with MV Argo & the DeepSee Submersible: Click here to read the full Expedition Story including photos, videos, testimonials, blogs, and an in-the-field report from Sub Pilot/Owner Shmulik Bloom. Check out the incredible footage of mating marble rays captured by our Cruise Director Federico Pochet during the MV Sea Hunter Trip to Cocos Island from July 26 - August 4th 2012. Check out the latest research trip from UCR and UNA from the July 6-18 2012 trip on Undersea Hunter. Adventure, Exploration, & Scientific Research! Three of our favorite things all happened during our Expedition to Golfo Dulce. MV Undersea Hunter and the DeepSee Subersible departed on May 11th for a 7 day special research trip with the University of Costa Rica's CIMAR - Centro de Investigación en Ciencias del Mar y Limnología to Golfo Dulce, Costa Rica. It was another successful trip for the Sea Turtle Restoration groups PRETOMA and STRP. Lead by Randall Arauz, the President of PRETOMA and Todd Steiner, the Executive Director of STRP, they tagged two green sea turtles, securing both with satellite tags. .
We recently had the pleasure to welcome on board a world traveling duo that is currently on the 5th year of the mother of all road trips, The Trans-Americas Journey. Did we mention they are very accomplished scuba divers to boot? MV Sea Hunter Expedition with a team of biologists, oceanographers, physicists, chemists, taxonomists,historians, meteorologists, microbiologists, economists from the University of Costa Rica, the National University of Costa Rica, The Research Center for Marine Sciences and Limnology (CIMAR), and The International Center for Economic Policy for Sustainable Development (CINPE). Just after returning from Las Gemelas Seamount, the DeepSee Submersible is on another exciting expedition. This time we are headed to Coiba National Park, located off the southwest coast of Panama. Mission Blue is embarking on this expedition to emphasize the importance of Coiba’s protection and to support the Smithsonian Tropical Research Institution. MV Argo is currently undergoing a renovation that will give the luxury live aboard an additional cabin. Adjacent to the upstairs lounge the new cabin #9 will have the same fabulous amenities and features of the other Argo cabins. The principles of sustainability and environmental responsibility are matters of supreme importance to us as a company, and extend to all aspects of our mission and operations. For this reason, we want to address a question often raised by our guests: Where does the fish we serve on board come from? Biologists from Misión Tiburón, a Costa Rica based NGO dedicated to shark conservation, are currently in the second year of a five-year shark population project. Their goal is to study the whitetip reef shark population at Cocos Island in order to understand the sharks' behavior, distribution, and habitat. We have added newly-released and state-of-the-art diver locators made by Nautilus Lifeline. Each of our vessels will now have a full set, one for each diver. The DeepSee has been featured in many films, but now she has crossed over to the big screen, IMAX!!! This expedition to Cocos was led by Greg MacGillivary, from MacGillivary-Freeman IMAX Production California, and their new One Ocean One World Campaign. After a seven year career as a dive master and cruise director for the Undersea Hunter Group, Edwar Herreno has begun working as our Head Dive Officer. Based at our pier in Puntarenas, Edwar is responsible for managing the dive masters, captains, and crew, as well as supporting all the dive equipment and maintenance. As a professional videographer and photographer Edwar also support the Cruise Directors video editing needs. So keep an eye out for all the new videos being posted on our YouTube Channel and here on our Video Gallery. 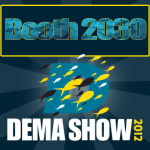 DEMA Show 2011 is the only international trade-only event for the diving, action water sports and travel industries. This year it took place in Orlando, FL Nov. 2-5 and as always we enjoyed reconnecting with old friends and making new friends as well. Alan has been described as “a master of logistics”, “the type of guy that can find a solution to any problem”, and as "having the ability to bring a sense of humor to any situation”. Alan Steenstrup has worked as the International Sales Manager for the Undersea Hunter Group for 16 years. He organizes and supports special customers and projects such as conservation groups, scientific research expeditions, film making projects, private charters, and news organizations. The trip departed June 28th on the Argo, with the DeepSee Sub aboard and ready for use. In order to facilitate the trip, the Argo was outfitted with a portable weather station, lab, and additional equipment used for taking samples. Safety Officer As the Company Safety Officer, Nelson Diaz strives to ensure that all areas of your live aboard dive experience are executed at the highest level of safety. With many years of experience as captain of the Undersea Hunter and Sea Hunter he is constantly working to prepare, train, and supervise all facets of the Undersea Hunter Group’s emergency training and preparedness procedures. Click here to read more about our Safety Procedures. 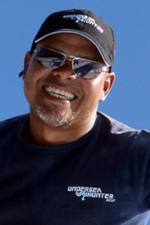 As the Company Safety Officer, Nelson Diaz strives to ensure that all areas of your live aboard dive experience are executed at the highest level of safety. With many years of experience as captain of the Undersea Hunter and Sea Hunter he is constantly working to prepare, train, and supervise all facets of the Undersea Hunter Group’s emergency training and preparedness procedures. Click here to read more about our Safety Procedures. We are now part of a new alliance that brings together the world's top live-aboard diving companies. MV Argo played host to Nicolas Ibargüen, from the abc* Foundation, and a special group of his invited guests, including National Geographic's Sylvia Earle and Enric Sala. The abc* Foundation and its community strive to bring the world a step closer to restoring oceans to their full productivity.